Decatur, Ala. – Hundreds of sky lanterns are set to be released illuminating the night sky as part of an event to be held at a North Alabama race track next month. 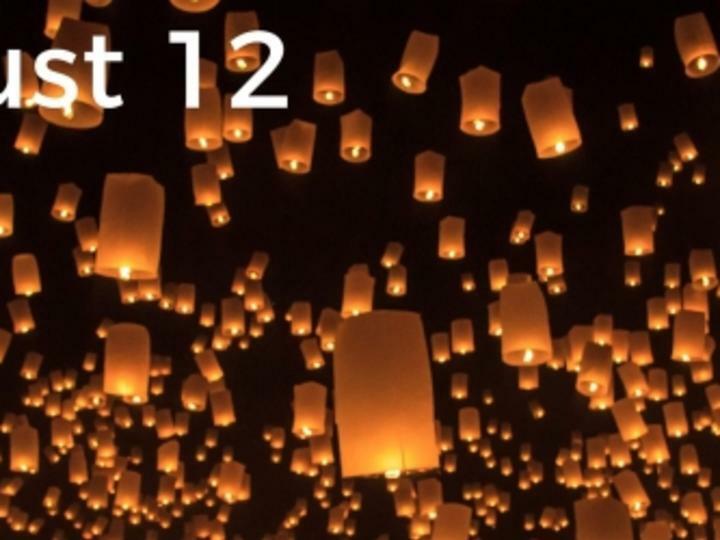 Light The Sky™ is scheduled to take place August 12, 2017, at the Huntsville Dragway in Harvest, Ala., and along with the night sky illuminated by floating lanterns, festivalgoers can arrive early for food, music and family fun. Light The Sky™ is a lantern festival where festivalgoers come to commemorate loved ones who have passed, to celebrate a positive change or to commit themselves to achieving a goal. Participants receive a lantern, which will be released in unison after sundown. Doors open at 6:30 p.m. Lanterns will be launched between 8:30 and 9 p.m., weather permitting. There will also be food vendors, acoustic music and dancing. Tickets are on sale for $34.99 for 13 years old and older. Admission at the gate is $44.99. Tickets for children 6 to 12 years old are $12 each (includes only admission to the event and a bracelet). Kids 5 and under are free. At least one general admission ticket must be purchased with a kid’s ticket. General admission tickets include one lantern, a 4-pack of color markers for decorating your lantern and a special Light The Sky™ bracelet. Light The Sky™ donates 10% of ticket sales to USA for UNHCR, a humanitarian group created to help refugees worldwide. Tickets may be purchased online at https://www.lightthesky.com/cities/huntsville?city=huntsville. The Huntsville Dragway is located at 502 Quarter Mountain Road in Harvest, Ala. For more information on Light The Sky™, visit www.lightthesky.com.